Sir Martin Sorrell, chief executive of WPP, was paid £12.9m during 2011, an increase of 56% year on year after his basic pay rocketed 30% and a long-term incentive scheme paid out £5.6m. Sorrell's pay hike comes despite WPP suffering an investor backlash last June about executive rewards. According to WPP’s annual report and accounts for 2011, Sorrell was paid a basic salary of £1.3m (up 29.4% year on year) in 2011, benefits of £459,000, short-term incentives in cash and shares worth £3.7m, dividend equivalents of £1.3m, pension contributions of £585,000 and £5.6m from a long-term incentive award. In comparison, in 2010 Sorrell was paid a total of £8.3m in 2010 including £1.0m in basic salary, £374,000 in other benefits, a short term bonus of £1.4m in cash and shares, £400,000 in pension contributions and £3.6m in long-term incentives. 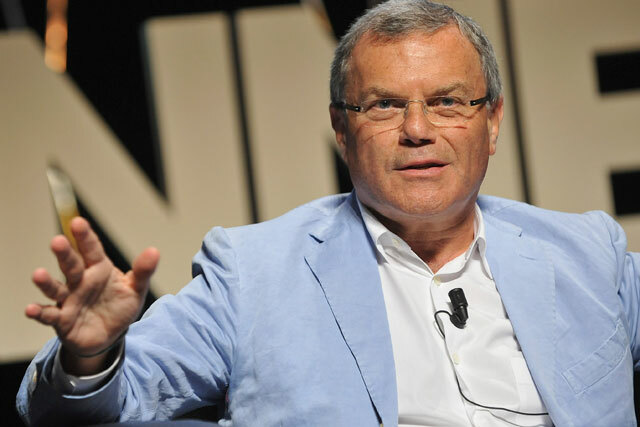 Sorrell's pay increase follows WPP's record results in 2011. The company's pre-tax profits grew by 18.5% year on year to a record £1.01bn in 2011 while revenues climbed 7.4% to a record £10.02bn. WPP owns the JWT and Ogilvy & Mather creative networks as well as the MediaCom and Mindshare media brands and PR agency Burson Marsteller. The group indicated Sorrell's pay was set to rise in its 2010 annual report when it pointed out that his base salary had not changed since 1 January 2007. Sorrell's overall pay increasing by close to 50% year on year is likely to reignite the controversy over executive pay. Last June 41.8% of WPP shareholders – an unusually high amount – voted against the company's renumeration report. Paul Richardson, group finance director of WPP, was paid a total of £5.319m in 2011. He received £677,000 in basic pay, £100,000 in benefits, £1.9m in short-term incentives, £198,000 in pension contributions and £2.5m from a long-term incentive award. Richardson's income increased by 39.1% from £3.825m in 2010. In 2010 he received basic pay of £637,000, benefits of £106,000, £1.439 from short-term incentive schemes, £191,000 in pension contributions and £1.452m in long-term bonuses. Mark Read, strategy director of WPP and chief executive of WPP digital, was paid a total of £1.9m in 2011 including £425,000 basic, £3,000 in benefits, £808,000 in a short-term bonus, £43,000 in pension contributions, and a long-term bonus of £621,000. Read's pay increased by a whopping 84.5% year on year from £1.03m in 2010, which could cause problems for the marketing services company when it comes to its annual general meeting as it was Read's 30% rise last year that is said to have angered many shareholders. In 2010 Read was paid a total of £325,000 in basic salary, £2,000 in expenses, £512,000 in cash and shares as part of a short-term bonus scheme, £33,000 in pension contributions and £164,000 from a long-term incentive scheme.